A high-quality fit and finish designed to provide maximum protection and optical integration. 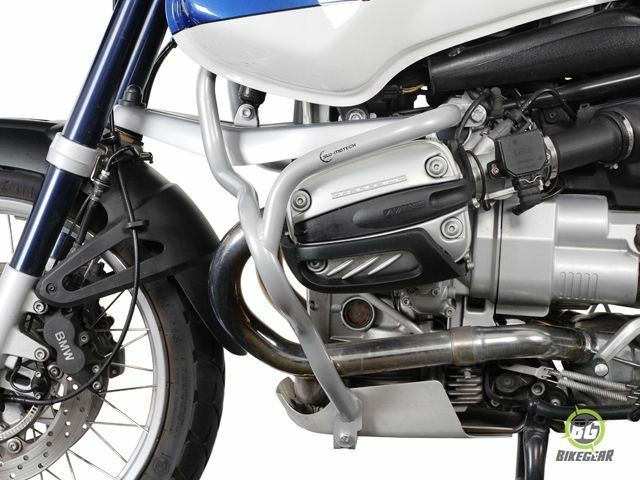 SW-MOTECH Rally Style Crashbars for the BMW R 1150 GS are constructed from heavy-duty mild steel for maximum protection and optical integration. Provides protection to both the fairing and engine without interfering with oil changes or removal of cylinder head covers for valve adjustments. High-quality fit and finish. All components are protected against corrosion through sandblasting and powder coating. The metallic silver powder coated finish also has a gloss clear topcoat, providing an additional layer of rust protection. High-strength frame mounting points and 26.9 mm diameter mild steel tubing ensure heavy duty protection. 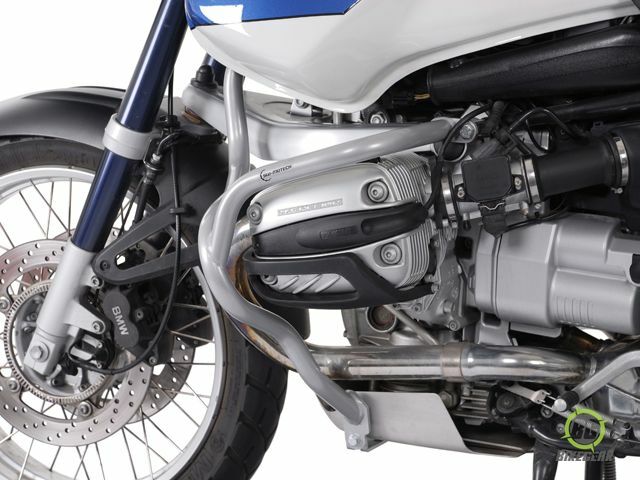 Compatible with original BMW plastic head guards. 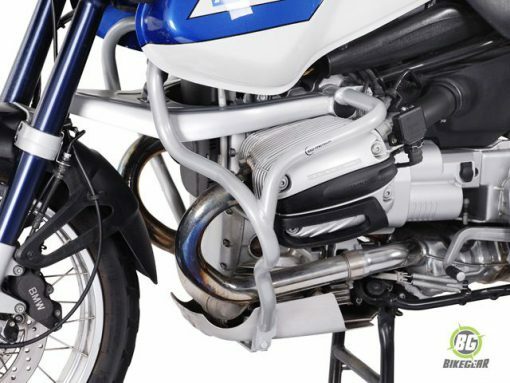 The current version of these crash bars has been modified to be compatible with most aftermarket suspensions. 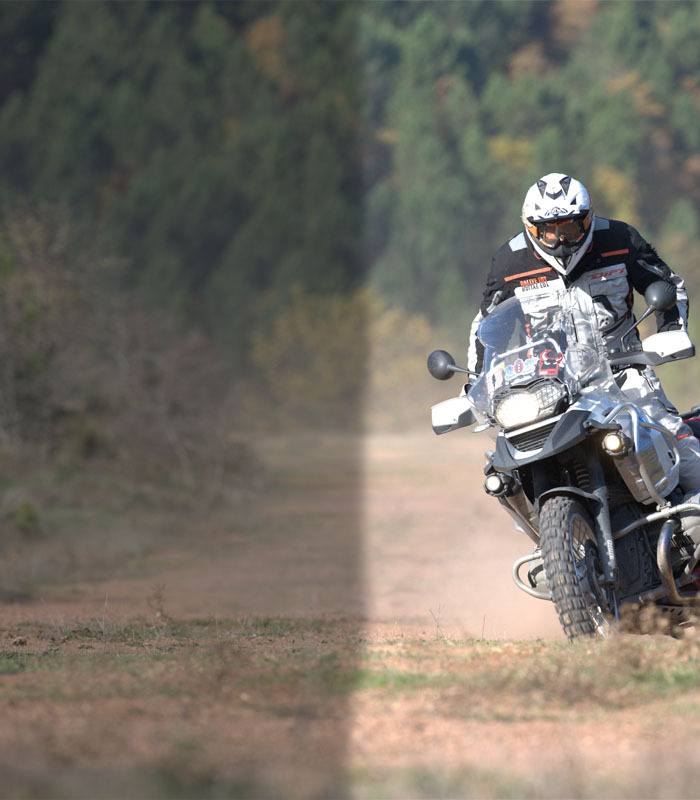 Item fits BMW R1150GS only; not for BMW R1150GS Adventure model. Please Note: Fitment confirmed only when used in conjunction with OEM skid plate.